Barely a day goes by without an argument (or two) about food in this house. We argue about how many cookies the little gal can have when she gets home from school. She complains about how much fruit is in her lunch instead of "good" snacks like brownies and tiny banana cakes. My 13-year-old son complains about each night's "healthy" dinner and my latest "organic" snack purchase. As much of a pain as this is, you know what's great about it? We argue about food because we have plenty of it. We get to make choices about what we eat each and every day. It breaks my heart to think about children (or anybody really) going hungry. When my son wakes up late for school and declines food before heading out to the bus, I can't stand the thought of him attempting to listen and learn without food in his belly. Then I imagine kids who go without breakfast every day. Kids who don't have access to healthy meals and snacks, for whatever the reason. Kids who feel the rumble of hunger deep down in their bellies and find it difficult to concentrate on anything else. That's why I'm joining The Grocery Foundation in promoting Toonies for Tummies, a campaign to raise $600,000 via generous shoppers in 400 grocery stores across Ontario, including Metro, Food Basics, Longo's and independent retailers. From February 4 to 18, you can donate $2 at the cash when you pay for your groceries or donate online from the comfort of your home. Together with campaign sponsors, The Grocery Foundation seeks to help the more than 800,000 school-aged who participate in breakfast, lunch and snack programs in schools across Ontario each day. All funds raised at the till and online will be directed to programs in the same communities where they are made. I had the good fortune to meet a wonderful teenager who is doing her part (in a big way!) to make sure students have access to and appreciation for nutritious foods. Swaizie, a Grade 12 student at Fort Erie Secondary School, is one of 11 student ambassadors scheduled to present at The Grocery Foundation's Agents of Change Summit on February 8th. Swaizie is a key player in her school's culinary program (which provides all the food for the school's cafeteria) and helps to run Fort Erie Secondary School's Pomegranate Restaurant, the only student-run restaurant in Ontario that serves the public. The restaurant is booked to capacity every Wednesday evening. The students also cater formal events in the community and volunteer providing hot meals to those in need once each month. Swaizie's accomplishments are remarkable by any standards, but even more remarkable when you consider that she has Prader–Willi syndrome, a rare genetic disorder that causes a chronic feeling of hunger that can lead to excessive eating and obesity. "It's really hard to maintain a healthy weight," says Swaizie. The manager of her school's breakfast club program, Swaizie has dedicated herself to helping others get the food they need to start each day off on the right foot. "I think eating in the morning wakes you up more. You're more energized and not sleeping in class," she says. "Kids who don't eat breakfast don't have enough energy to start the day. They're probably really tired. Sometimes they can be cranky, crabby." 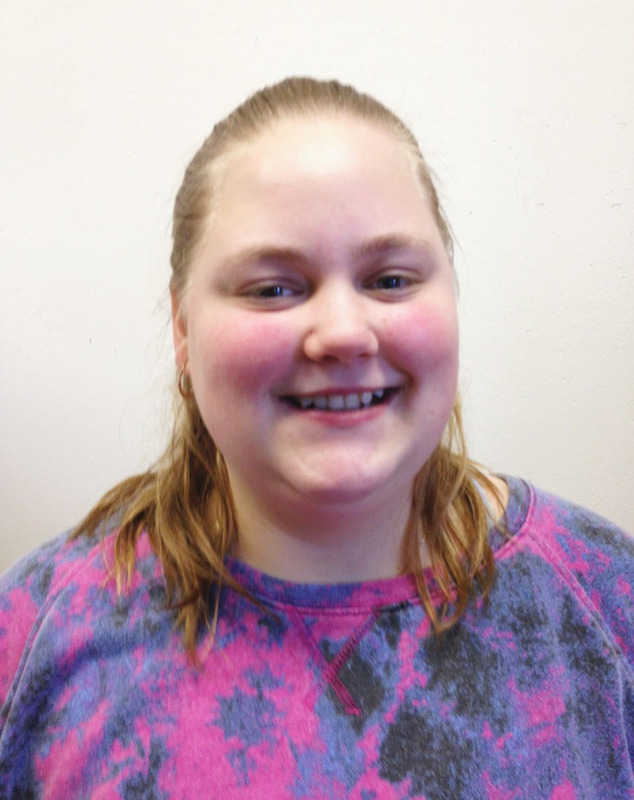 Swaizie is dedicated to promoting proper nutrition to her classmates and others. 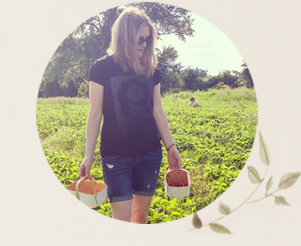 "Eating healthy is a better option than eating junk food," she says. "Eating junk food is okay once in a blue moon but not very often." A student in the Specialized School To Community (SSTC) program, Swaizie loves to read, attend gym class and help other students with special needs. She is disturbed by the fact that 1 in 6 children goes to school hungry each day. "It kind of makes me sad because they need more help," she says. While she's a little nervous about presenting at the upcoming summit, Swaizie is also excited and hopes to inspire other students to spread the word about the need for proper nutrition. "Hopefully the kids will think about their choices more and eat a little bit more healthy," she says. Educational assistant Becky Parton beams when she talks about this star pupil. "It speaks volumes that Swaizie can work in the food industry. It shows a real exercise in restraint and behaviour management." she says. "Swaizie is one of the chef's go-to girls. She's very talented. Chef is taking her to a baking competition in a month. She'll be the only SSTC student competing. She's a very cool kid." For more about Swaizie, Ms. Parton and the school's food programs, check out this video from Fort Erie Secondary School's YouTube channel. Blessed as we are to live in Canada, surprisingly it is the only G8 country with no national school-based feeding program! We know that children cannot achieve full success in school if they aren't well-nourished, yet over 4 million Canadians, including 1.15 million children, experience some level of food insecurity. One in 8 households compromises the quantity or quality of their food to feed their family. According to the Daily Bread Food Bank, the average client has just $6.67 per day after rent is paid to pay for everything else, including clothing, transportation and food. I can't even imagine trying to feed my family on pocket change! Fortunately we can gather our pocket change together to make a big change for kids. 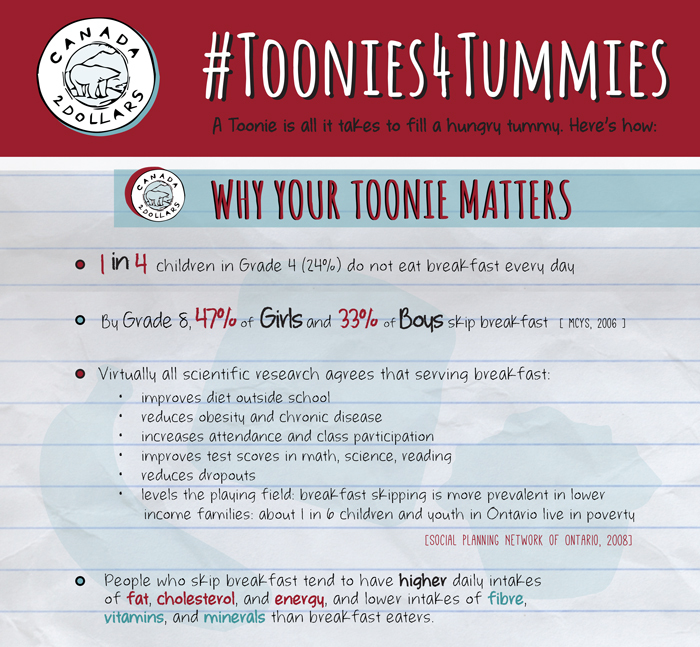 Last year's Toonies for Tummies campaign raised over $923,000 for local nutritional programs in Ontario. These programs provide children with healthy breakfast meals, mid-morning meals and after-school snacks. 100% of the money donated at the cash register and online for ‪#‎Toonies4Tummies‬ goes to helping kids and youth in Ontario, providing them with necessary nutrition to focus on school and have the physical stamina to be healthy and active. The Grocery Foundation is an Ontario-based, not-for-profit that represents leaders from Canada’s grocery industry. It was established in 1979 to enrich the lives and well-being of children, giving them a hand up so that they can learn and succeed. To date, The Grocery Foundation has raised more than $85 million, which has gone to over 250 organizations across the province. Join us for Twitter chats with @Groceryfndtn (#Toonies4Tummies) on February 2nd, from 1:00pm to 1:30pm EST and 9:00pm to 9:30pm EST. What are your thoughts on the importance of nutrition for school success? *This is a sponsored post. All opinions, including my decision to support this campaign, are my own. I found your information on school based food programs compared to other countries quite alarming. I knew we were lacking in our schools but didn'tcrealize it was that bad. As a teacher, really there wouldn't be any food program at school without volunteer parents offering hot lunch of some sort. It's worrisome isn't it Jenn? It would be great to have a program that's free in every school. It's very important for children to eat healthy. A school program could really help with this. Ironically, when I was going to school, having no lunch money meant that I ate better because I was bringing homemade food from home. The kids who were sent to school with cash, usually went out and bought fries and other junk food. Isn't that so true Linda? Although now the high school cafeterias have to follow higher standards for health. But still, I think homemade is always better! I say, Good luck at the summit and the baking competition Swaize! That's sweet Jan. Thank you! Great article about an important topic. I remember not eating most days before school (time issue) or not eating something healthy and when I look back I wish I had done things differently. 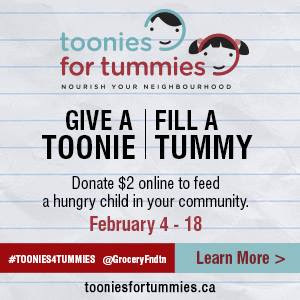 I love the toonies for tummies program. Proper nutrition and food supply is important! I struggled with time issues too. And I'm still not hungry some mornings. But I try to at least have a smoothie then. Thanks for your thoughtful comment. Healthy food is important for both physical and mental health! It is so hard to do anything especially learning on an empty stomach. Yes, Heidi! I feel crazy when I'm hungry. Great article for sure and very important topic to get kids the proper nutrition they need to learn ! Healthy eating is important for everyone and to have kids learn at a young(er) age is key to a happy and healthy adulthood. So true Sarah. Thank you! Healthy food is definitely important for both mind and body. A healthy well balanced diet is very important for students. We need to start thinking about our food as fuel for our entire bodies and especially our brain. Food is fuel for our brains, and students need to be able to think clearly and concentrate. I love that idea Debbie! If you think about food as fuel for our brains, then maybe we'd be more cautious about what we're fueling up with. I think it's so important to eat healthy. I try to make sure my kids have no sugar for breakfast and some good protein every day. That's great. Sugar is so addictive, huh? As a teacher, I am always emphasizing the importance of my students to eat a healthy breakfast. I also started a breakfast club at my school where students could come early and eat some bagels, fruit and cereal that me and a couple of other people provided. That way, students who didn't have time for breakfast, or don't have anything that they wanted to eat at home could still get the food they needed to get them through the day. How great that you are acting as a positive influence! And providing a breakfast club is so wonderful. I'm sure it's much appreciated. Good nutrition is important for optimal brain function. That is for sure Danni! Proper nutrition will allow any child a better chance at success! So important isn't it Julie? Anything that gives them a leg up is vital. Kids are able to concentrate much better when they've had healthy meals. I know it's the case for me, so I can imagine when you are growing how it must feel to be hungry and trying to concentrate! I think it's important for children to eat healthy to maintain their concentration for school and other activities. I think it gives a student energy to go through their school work and dealing with people. Eating healthy is super important for students and even in university (like me) to help you concentrate and not be tired! I really feel healthy foods are so important for children. Their bodies are continually changing and growing and their brain needs nutrition to properly think right, especially at school. Healthy eating is so important for students so they can be alert and able to take in all the knowledge that they have to in the run of a day. Food is important for growth! I think healthy eating is important for students because it affects memory and mental functioning and if you eat healthier you will function better. This is such an important thing. Not being able to eat properly results in poor energy and concentration, which affects learning! Proper nutrition is also important for brain development and growth in general! Healthy eating is such an important topic to know about. It's really eye-opening to find out how other countries address healthy eating in schools. 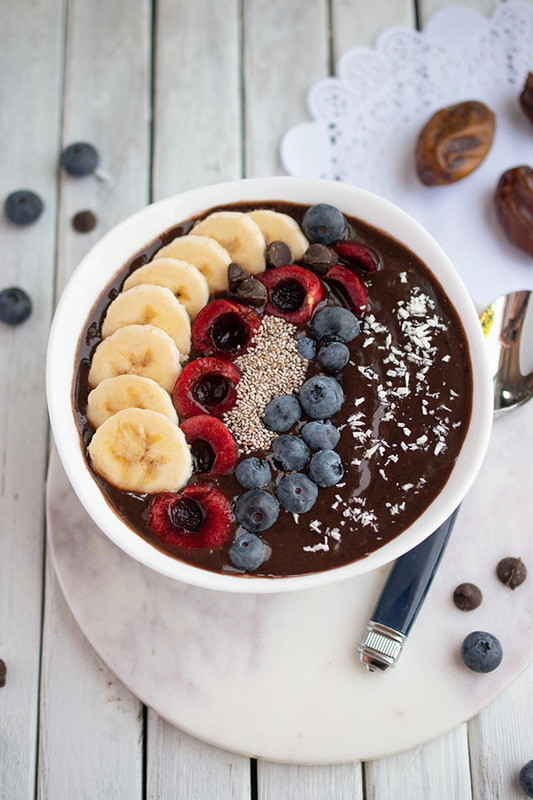 It is so important to eat healthy, but first thing in the morning it sure is important, especially for kids to be prepared for a day of learning.